Add the egg, molasses, ginger, combine well. Sift dry ingredients and add gradually, stirring until a smooth mixture results. Using about 1 Tbsp dough, roll into balls; roll each ball in cinnamon sugar. Place about 2" apart on baking sheet and bake until lightly browned, about 10 minutes. Welcome to post 2 of my promised Holiday baking series of recipes, and the lore that goes with. 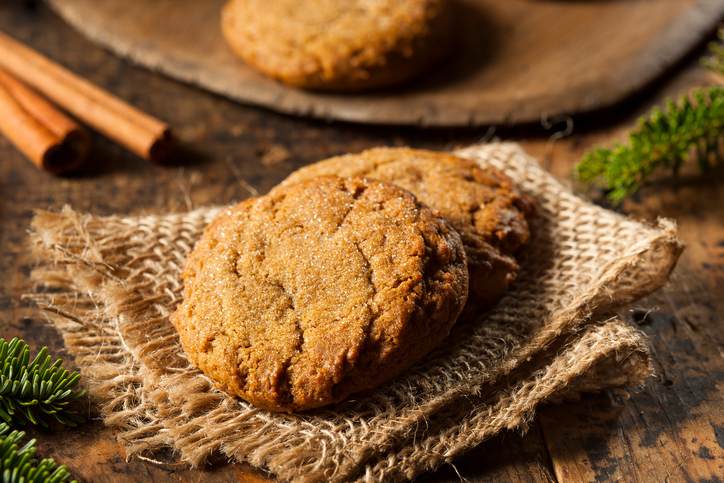 These spicy ginger snaps have lots of stories associated with them, not the least of which is about them resonating with a beautiful Italian cousin of ours. Linda loves to eat them when we are all very full at the end of our mom's annual Christmas Open House, because "they're ginger, they settle your stomach, right?" Yes, Linda, I have promised her. Especially if you eat 2 or 5 or 10 of them! The original recipe is from the Dahlia Lounge in Seattle, Chef Tom Douglas's first success story in the Pacific Northwest. It was in Fine Cooking magazine, alongside a Pineapple Sorbet recipe. More on the pairing of sorbet with these in a minute ... for now let me just say, YES, for that concept. This recipe was clipped and has been resting in my Christmas cookie file for many years. Each December it is the first to come out. I love the freshly grated ginger in these (I use more than the original recipe), and have added fresh nutmeg because I love it and, nutmeg makes people happy. Please know that of course, they are delicious the other 11 months of the year as well. They were on the esteemed menu in October of 2002 when my friend Jan and I were committed to "red food" during the LA Angels' run toward the World Series. We believed that if we lit red candles and ate red food each time we were together to watch a postseason game, the gods of baseball would be pleased and, favor the Angels. We ate these cookies alongside (red) Cabernet Sorbet (an incredibly delicious idea and pairing, by the way) during the American League Championship series. The Yankees went home. The Angels went on to play in their first World Series ever and, they won. The ginger snaps' next claim-to-baseball-fame was in June 2005. It was Derek Lowe's birthday, he was pitching that night, and it was the first time we catered sushi for the LA Dodgers in their clubhouse. He asked us to please not serve him too much of the sushi because he either had, or would get, an upset stomach. I made him a plate of cookies that the guys put by his locker with a Happy Birthday note on a yellow post-it that they had handy. 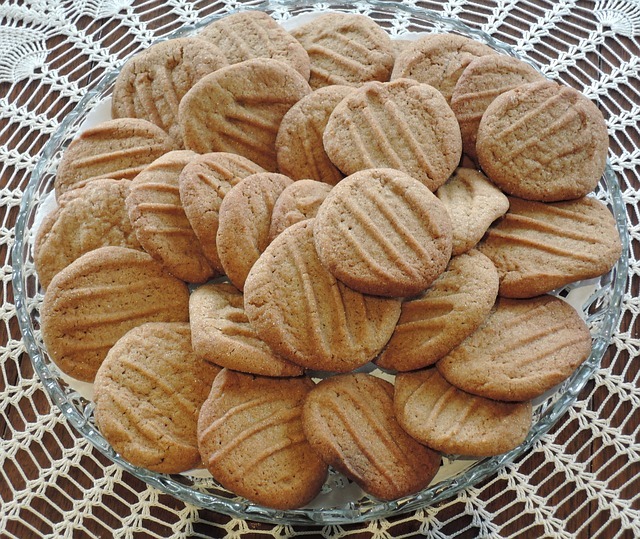 I wrote, "the ginger snaps will settle your stomach". (I learned that from my cousin Linda.) The plate of cookies got a mention in the LA Times the next morning. I still have the clipping! "Remember those cookies in New York? This is THAT Diane!" It gives me great joy and pleasure to share this recipe. My wish for you, is that they garner new, delicious fame each time they come out of your kitchen. Don't forget to mix in the love!